Author Archives: Florida Engineered Glass Corp.
Florida Engineered Glass > Articles by: Florida Engineered Glass Corp.
You live in Florida. Because of that, you, your family, and your home is always at risk for a big storm hitting every summer. Living in South Florida the last few years proves that. It seemed almost every rear recently there has been a storm that has made landfall. This is precisely why hurricane preparation is vital. Here at Florida Engineered Glass Corp, we are here to let you know what to use in order to keep you safe. Our answer? Impact windows and doors Miami! As a homeowner, you need to make sure that you take all precautionary measures to keep your property safe. There is a cost-effective and long-term technique where you are able to save yourself from the hassle of repairing windows and risking damaged property. 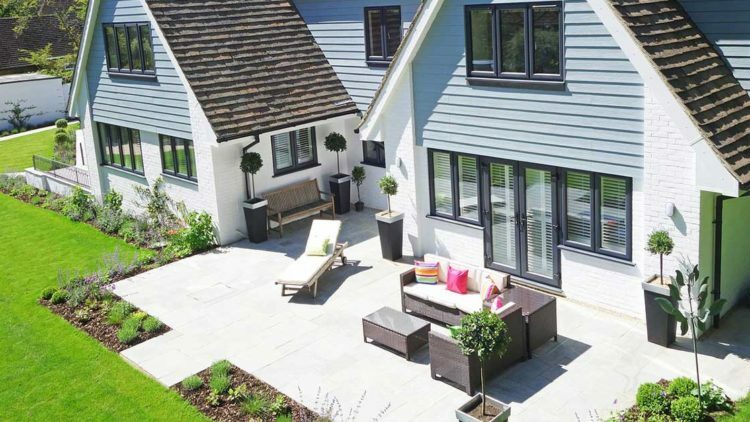 This is when the installation of impact windows and doors comes into play. When you make the wise decision to incorporate these into your home, there is a long list of advantages that come with them. Your home needs impact windows and doors Miami. Hurricane and Storm Protection: Let us begin with the most obvious benefit. 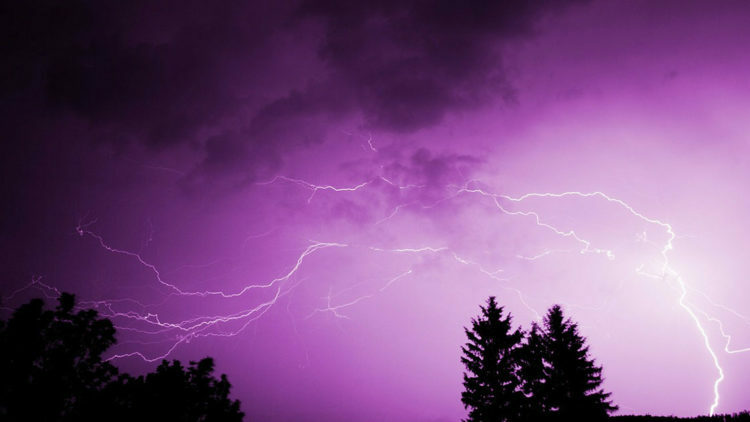 You are safe and protected from a storm. These windows and doors are extremely strong and can withstand major weather including heavy rain and powerful winds. When you are providing a protective shield against a hurricane and storm damage, these windows and doors can cut down the price of regular repairs and will help save your home from extensive damage that can come from flying debris. Corrosion-resistant: Even though the winds are the most important aspect you will face in South Florida, people who live in damp or semi-arid zones can face another challenge. They are vulnerable to salty and humid hair. This affects your air conditioning systems, and also can corrode your doors and windows. With the installation of impact protection, a home is safe from wearing away. Heat and Noise Reduction: We are all aware how busy Miami can get during the summer months. There are tourist everywhere. Because of this there noise and heat can get unbearable. With these specially designed windows and doors, your home is safe from strong heat waves and loud noises. Think of it as another barrier that is difficult for waves to move through. You will be able to enjoy some peace and quiet. UV Protection: UV light is an extremely dangerous source that can cause many skin-related issues, such as skin cancer. But that is not all. Their harmful rays can also cause damage to the furniture in your home, artwork, and other household items. 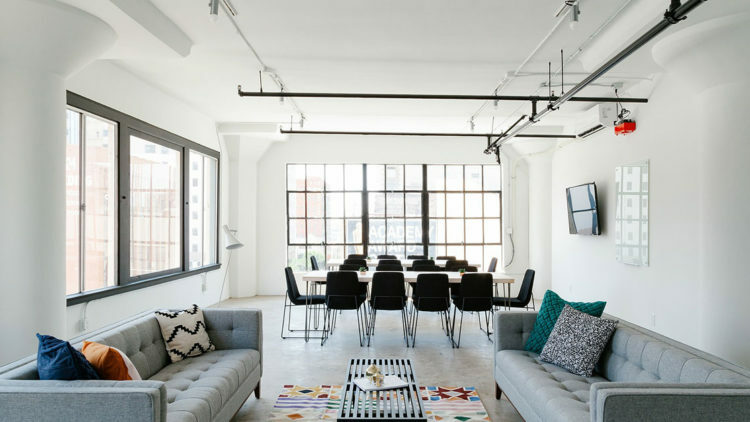 Because the design of impact windows, they are equipped with Low E Glass Coating, window tinting, and double glazing which increased the energy efficiency and reduces the damaging effects of UV light. 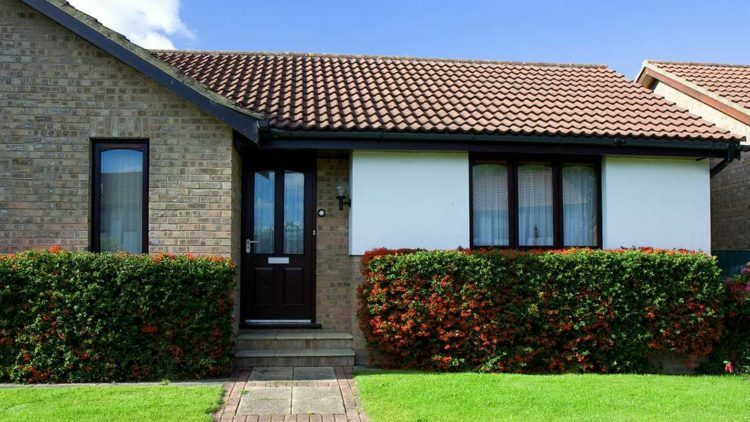 Increased Security: Another benefit of installing hurricane windows and doors is the increased security and protection from burglars and intruders. Homeowners will have a peace of mind knowing they are more thoroughly protected by having these protective systems in place. Insurance Discounts: Impact windows are some of the most significant windstorm protection systems, which have been recognized by a number of different insurance agencies. Because of this, insurance firms may offer a deduction or discount on insurance premiums. Many homeowners with impact windows also qualify for a wind mitigation insurance rebate. When it comes to hurricane preparation, your home needs impact windows and doors Miami. Here at Florida Engineered Glass Corp., we are here to ensure that you get the exact protection you need. Call or contact us today for more information. Remember Imra? Remember how she devastated South Florida? Were you lucky enough to have your home unscathed from hurricane damage? It is doubtful. Chances are this will happen again. We do live in Florida, after all. You need to weatherproof your home with hurricane windows and doors Miami. Here at Florida Engineered Glass, we are here to help! You do not want your home to end up looking like a post-apocalyptic wasteland. Hurricanes are among the worst types of weather phenomena. They are a natural disaster with devastating outcomes. They carry strong winds, no matter the category, that creates storm surges that can blow away roofs, break down doors, shatter windows, submerge basements, and send debris flying all over the place. In the USA there are 18 states that are prone to hurricane destructions. Out all of them, Florida has the strictest building codes that require homes to be hurricane proof, as they should be. 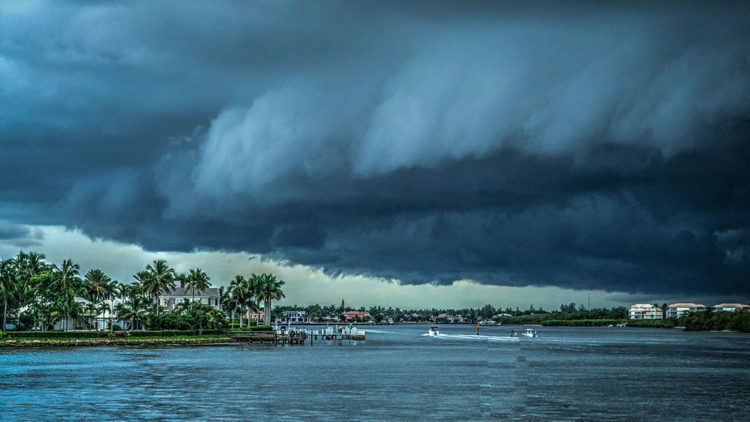 We have created some home improvements you can do to protect your home from a violent storm that includes installation of hurricane windows and doors Miami. As previously stated, a strong hurricane can rip your roof apart. If your home is missing a rood, then your home will be completely exposed to the elements. If the roof collapses, it might even extend the damage to the structure of the house. 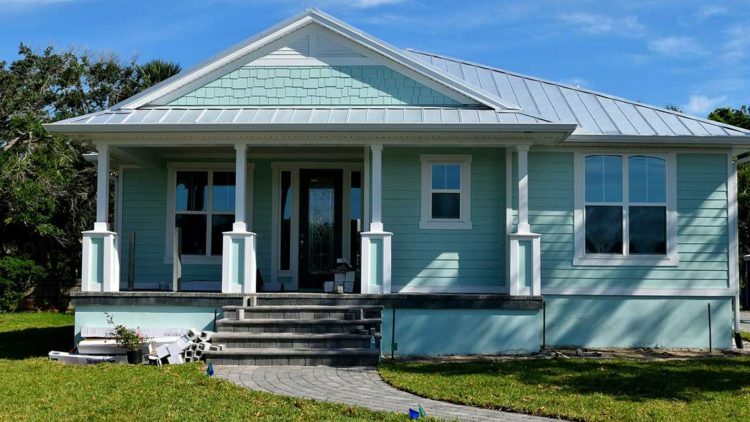 Florida allows only certain materials and shaped of roofs to ensure optimal load and runoff. This is the most vulnerable during a storm. Strong winds carry debris that can come crashing through the window at what seems to be lightning speed. Because of the speed, the wind can cause the glass to shatter. One way to protect our windows is to install sturdy storm shutters. Make sure once they are installed, to lock the shutters to protect all the glass panes. Another very vulnerable entryway to your home for a storm is the garage door. If it breaks down, storm winds can enter the home and tear the roof apart. This is when you need to replace your existing doors with storm-resistant models. Also secure your patio, porch, or lanai by replacing sliding glass doors with storm-resistant panels and thicker frames. Storm screens can also do wonders in protecting from natural forces. You may have many trees on your property that surround your home. If this is the case, be sure to inspect them before the start of the next hurricane season. You can do this by trimming branches that extend toward your home and over power lines. Check for cracks in the trunk and if the tree is leading. This can help avoid the tree collapsing. Also, remove any landscaping decor that could turn into projectiles during a hurricane. This includes potted plants, rocks, gnomes, lawn furniture, gravel, and solar lamps. At Florida Engineered Glass Corp. we genuinely care about the safety of your home and family. We also want to ensure that you are familiar with how to properly weatherproof your home. We offer the best hurricane windows and doors Miami, Florida! Our variety of impact products will keep you satisfied and your house protected. When it comes time to prepare for the next hurricane, get a step ahead of the game and call us for a free estimate. We are Floridians. What is a threat to us every year? Hurricanes. The rest of the country expects us to be hurricane experts because they occur so frequently. But are you? It not, do not worry. By the time you are finished reading this, you will have some worthy knowledge to share with the rest of the country. As well as providing dependable hurricane rated windows, Florida Engineered Glass has all the hurricane information you are craving for. Our knowledge will give you the inspiration to install an impact window Miami residents trust. Contact us today! By now we are aware of the system used to measure hurricanes. We hear it all the time when we turn on the news, and they inform us of whatever category the storm is, or what category it has the potential of becoming. But do we actually know the speeds that are involved within the scale? The scale is called The Saffir-Simpson Hurricane Wind Scale. First introduced to the public in 1973, it has a rating of 1 to 5 based on the hurricane’s sustained wind speed. In order to even be considered a hurricane, a tropical cyclone must have one-minute maximum of sustained winds of at least 74 miles per hour. Category 1: Wind speeds of 74-95 mph. Hazardous winds will produce some damage. There may be damage to the roof, shingles, vinyl siding, and gutters. Large branches of trees will snap. Shallowly rooted trees will topple. Extensive damage to power lines and poles likely will result in power outages that can last several days. Category 2: Wind speeds of 96-110 mph. Extremely dangerous winds will cause extensive damage. Homes can sustain major roof and siding damage. Many shallowly rooted trees will be snapped or uprooted and block roads. Near-total power loss is expected that can last weeks. Category 3: (major hurricane) Wind speeds of 111-129 mph. Devastating damage will occur. Homes can incur major damage or removal of roof decking and gable ends. Many trees will snap or become uprooted, which will block numerous roads. Electricity and water will be unavailable for several days or weeks. Category 4: (major hurricane) Wind speeds of 130-156 mph. Catastrophic damage will occur. Well-built framed homes can sustain severe damage with loss of most of the roof structure and some exterior walls. Most trees will be snapped or uprooted and power poles downed. Fallen trees and power poles will isolate residential areas. Power outages will last weeks to possibly months. Most of the city will be uninhabitable for weeks or months. Category 5: (major hurricane) Wind speeds of 157 mph or higher. Catastrophic damage will occur. A high percentage of framed homes will be destroyed, with total roof failure and wall collapse. Fallen trees and power poles will isolate residential areas. Power outages will last for weeks to possibly months. Most of the city will be uninhabitable for weeks or months. Get an Impact Window Miami! At Florida Engineered Glass Corp. we genuinely care about the safety of your home and family. We offer the best hurricane rated windows and expertise on hurricanes in Miami, Florida. Our variety of impact products will keep you satisfied and your house happy. When it comes time to prepare for the next hurricane, get a step ahead of the game and call us for a free estimate. We offer an impact window Miami deserves. Visit our office or contact us today! The windows in your home are not designed to protect your house from storms. Even though we are at the end of hurricane season, this does not mean that you should not prepare for next Summer. If your window gets struck by any debris in the air and shatters, the interior of your house, as well as the individuals inside, will be at risk. Hurricane impact windows are a necessity, especially in Miami. At Florida Engineered Glass, we are here to ensure your home and family is protected. We will make you an expert too, on impact window installation. Contact us today! Hurricane winds deliver force to buildings that are extremely damaging. Most of this is due to the debris the winds pick up. It can be anything from tree branches to pieces of other homes. Imagine any of this flying through your window and into the interior of your house. Roof sheathing, roof tiles, or garbage can instantly become missiles that are hurled toward your loved ones. The secret weapon in keeping everything protected is impacted windows. Windows are the critical point of entry for storms, so it is essential that they resist the damaged, forced winds. 20 years ago, impact-resistant windows were very limited. 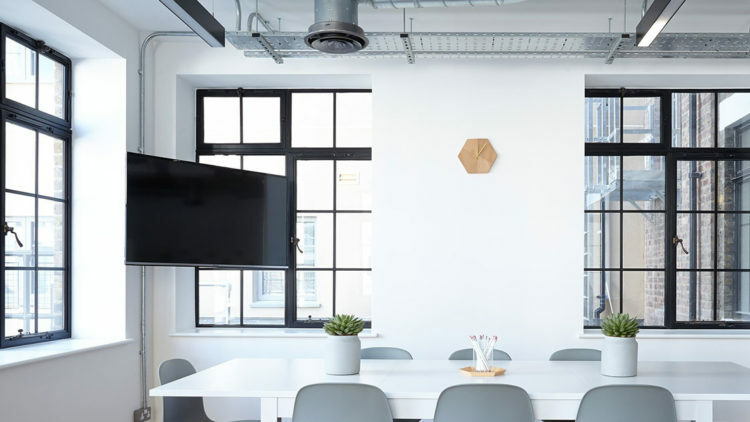 Since then there has been lots of research and technology that led to the development in creating windows that are caught up with stricter building codes. You are bound to find one that is perfect for you. Windows with impact-resistant designs now include fixed-pane, awning, casement, horizontal roller, and single-hung and double-hung models. Skylights, door glass, and patio doors are also available in impact-resistant formats. Impact Window Installation can sometimes get tricky. Or maybe you just don’t feel like doing it yourself. That is okay. We are here to do all the hard work for you. When installing these windows, you want to ensure that it gets done correctly? Who know the windows you purchased better than the company who sold them to you? Trust us. We know how to keep your house hurricane free. A key factor when installing impact-resistant windows is a watertight caulk seal. This keeps water out. Often, the closer the home is to the coastline, the more stringent the requirement for fasteners. Homes on the beach typically require stainless steel screws to stand up to the salt spray. Those further inland may need galvanized screws. Screws rather than nails are specified because nails are less resistant to pull-out when a lateral force is applied to the window and surrounding wall. Screws pull material together and won’t pull out. Confused yet? Don’t worry. We are here for you. At Florida Engineered Glass Corp. we genuinely care about the safety of your home and family. We offer the best hurricane impact windows and expertise on impact window installation in Miami, Florida. Our variety of impact products will keep you satisfied and your house happy. When it comes time to prepare for the next hurricane, get a step ahead of the game and call us for a free estimate. Contact us today! 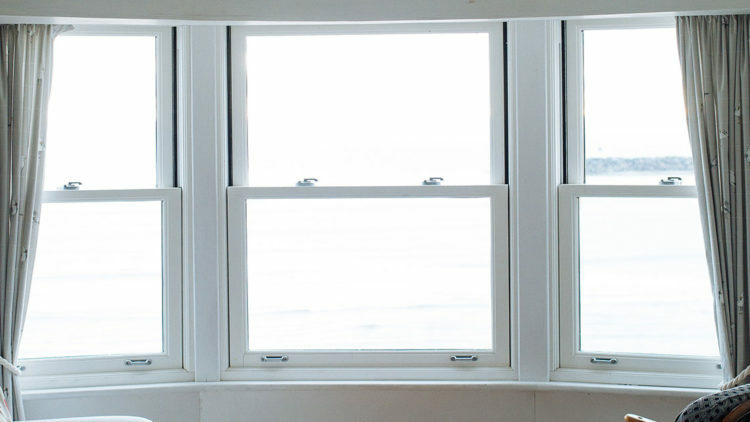 Are you interested in replacing the windows of your home? When you make this decision, there is a variety of options you can choose from. There are different styles. A unique style that really gives homes that extra flair is casement windows. Houses in Miami are taking advantage of this style all over the city. It makes your house feel homey, but also is a great choice when you want to protect it against hurricane force winds during storm season. Contact us today! Imagine it is a beautiful day outside and you hear the birds chirping on a tree branch nearby. Your children are all sitting at the dinner table patiently anticipating the meal that is about to come out of the oven. You look out the window to see a slight breeze moving through the leaves. You walk to your window, unlatch it, and swing it open to reveal the peaceful nature outside. Sure, that may be a little too cinematic, but with casement windows, you have the opportunity to be as dramatic as you please. These windows beautify your house in a way that it seems as though it is in a movie. 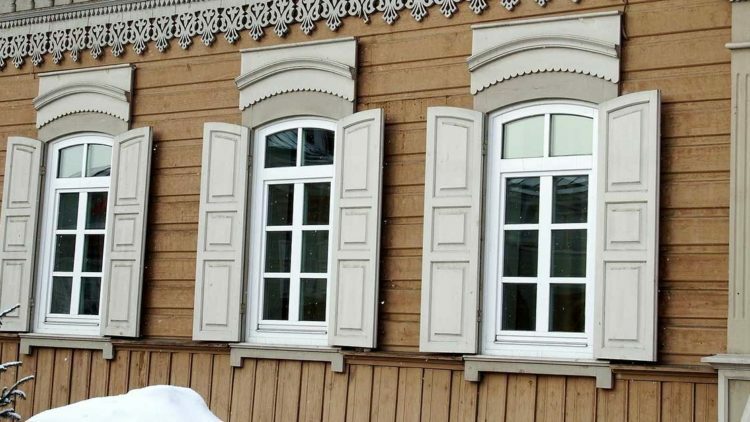 Also known as a crank window, these specially designed windows are different from a traditional sliding window. They are unique. Unlike standard windows, they are permanently mounted into the wall. They don’t move up and down when you open them. Instead, they move inward and outward. They are easy to clean and come in many shapes and sizes. Don’t be alarmed if you’re worried about the potential for insects to enter; these windows can still be equipped with screens. These are special impact windows and doors Miami can take advantage of. They are built in a way that they can withstand strong hurricane wind and can be made to become resistant to external flying objects. The window frame is the permanent outer edge of the window attached to a wall. It’s often surrounded by a casing, decorative molding that covers the area between the window frame and the wall into which it has been mounted. There are hinges that are installed to the side of the window that allows an individual to open and close it. They are also equipped to have horizontal hardware bars called stays. This prevents the windows from shifting during heavy wind. 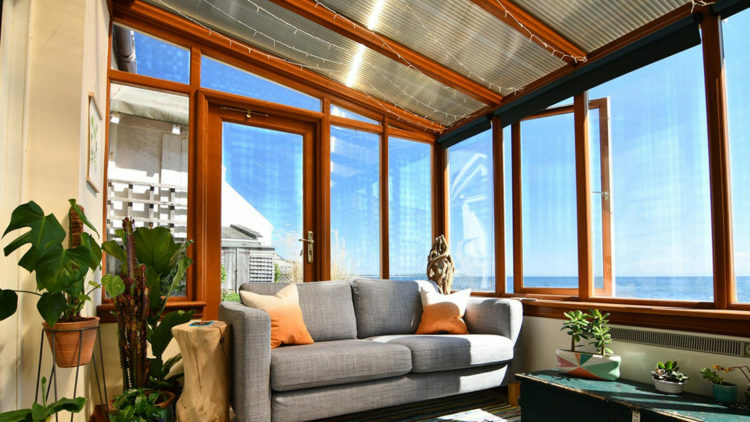 At Florida Engineered Glass Corp, we specialize in providing you and your home with the best possible options for impact windows and doors Miami has to offer. Our professionals are here to assist you with any questions or concerns you may have regarding casement windows. Do not hesitate to call us or visit our Miami location. When it comes time to prepare for the next hurricane, get a step ahead of the game and call us for a free estimate. We look forward to protecting your home and making it beautiful.